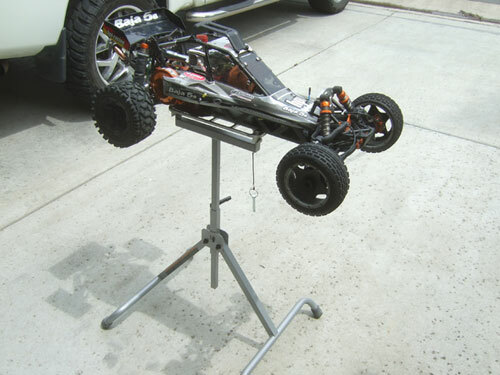 After getting different ideals online about using a Ridgid Flip Top as a RC stand, this is what I came up with. 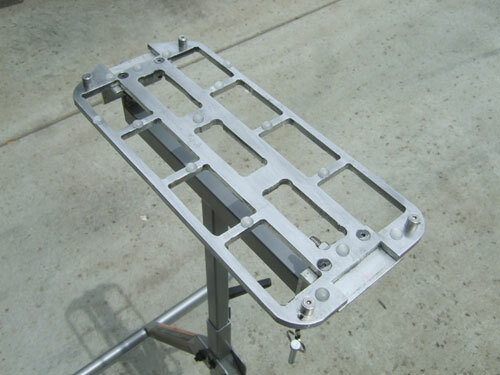 The top plate was suppose to be a lower chassis to a Revo project that I started and never finished. 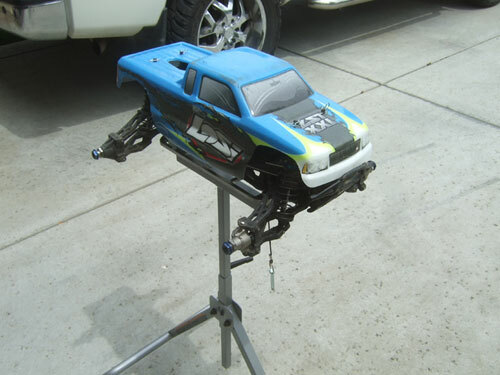 I abandoned that project because after doing research on the web the Revo suspension and dive-train could not handed the larger scale truck that I was hoping to build. The main reason I use such a small base, so I can fit my LST XXL on there too. 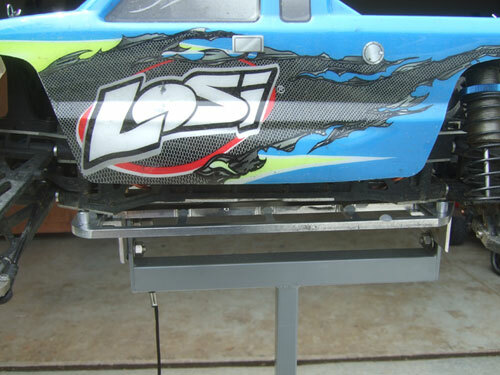 If I made the base plate as long as my Baja the suspension arm for the LST will not be free hanging. 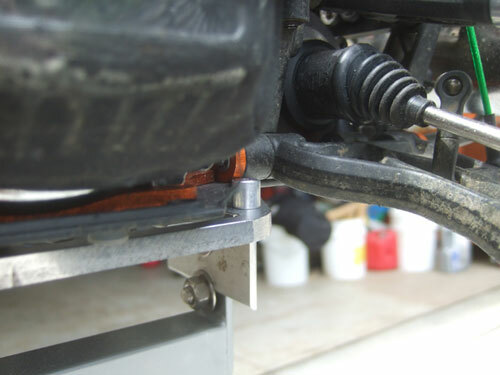 On the base plate I stuck on little rubber feet so the car will not slide or scratch the bottom of the chassis. 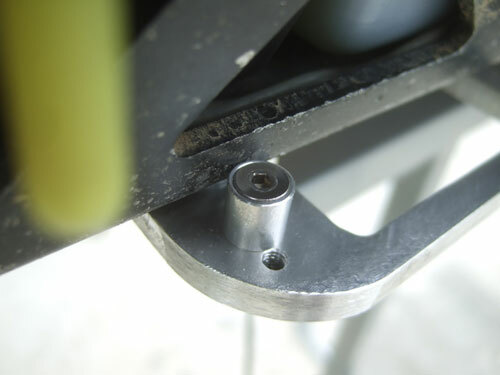 And finally I drilled and tapped 4 holes on each corner of the base and machine 4 aluminum numbs to prevent the car from moving or sliding off.